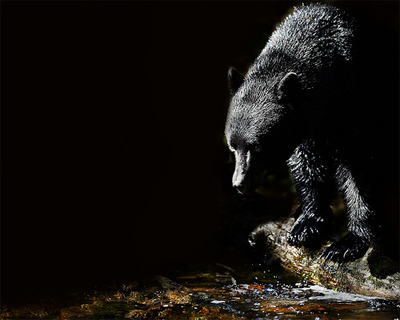 Hiking, camping and enjoying life outdoors is what millions of people do in America every year; however, there is the risk of stumbling upon black bears during your excursions. Here we look at how to protect yourself against a bear attack. While black bear attacks are a rare occurrence they do happen, which is why it’s important to remain vigilant when traversing in bear country. In North America it is estimated that there are around 600,000 black bears in existence with an estimated 300,000 in the United States. A staggering amount, which means that at some point there will be a human-bear encounter. According to research published last year in theJournal of Wildlife Management while black bear attacks are rare, they seem to be rising as the population of the human race increases in the United States and Canada. Researchers found that between 1900 and 2009 there were 63 deaths as a result of black bear attacks. However, the world is not going to stop reproducing anytime soon, which is why protective measures need to be in place to minimize our risk of bear attack. Salivate excessively, exhale loudly, and make huffing and moaning sounds with its teeth, mouth and jaws. Stand on its hind legs to get a better look at you. Lower its head with its ears drawn back. Charge forward or shift the ground with its paws. One thing to bear in mind is that the noisier a bear is, the less dangerous it is, but you need to make sure that you don’t approach the bear. The above mentioned points are warning signs to an individual that you are too close to the bear. In most cases, bears caught off guard will want to flee from the area. So what do you do now that you’ve seen the warning signs? The most important thing is to remain calm. Even though your body will want you to run, don’t. Stand still and speak in low tones to the bear. Do not try to get close to the bear. If the bear moves toward you, slowly back away while continuing to talk in a monotone voice. Don’t scream or turn your back on the bear, make direct eye contact or attempt to run away. Don’t climb a tree as bears are known for their tree climbing ability. Make sure you have bear spray to hand, which you can utilize to ward off aggressive bears. In most cases a black bear will attack when it perceives you as a threat, to its cubs or as a way of defending its food. The Journal of Wildlife Management study found that lone black bears were more likely to attack humans as a food source with 92 percent of deadly bear attacks taking place. In order to reduce the likelihood of an attack make sure you remove garbage from your camping site and keep it locked in a bear-proof container.